My favorite quote from that story! Blessings to you both this Christmas! I have to remind myself of this every December. How is it that the lessons we learned when we were 5, are still the most relevant? I’m trying to enjoy every Christmas I can. My mom will be 83 on that day. Just the thought of the future and Christmas never being the same makes me tear up. 83 is amazing. I can only imagine the life she’s seen…and how lucky she is to have had you share it with her. Oh, just the other day, I was thinking, “I wish those guys would blog again!” + then, you did, with the glass ornaments! So beautiful! 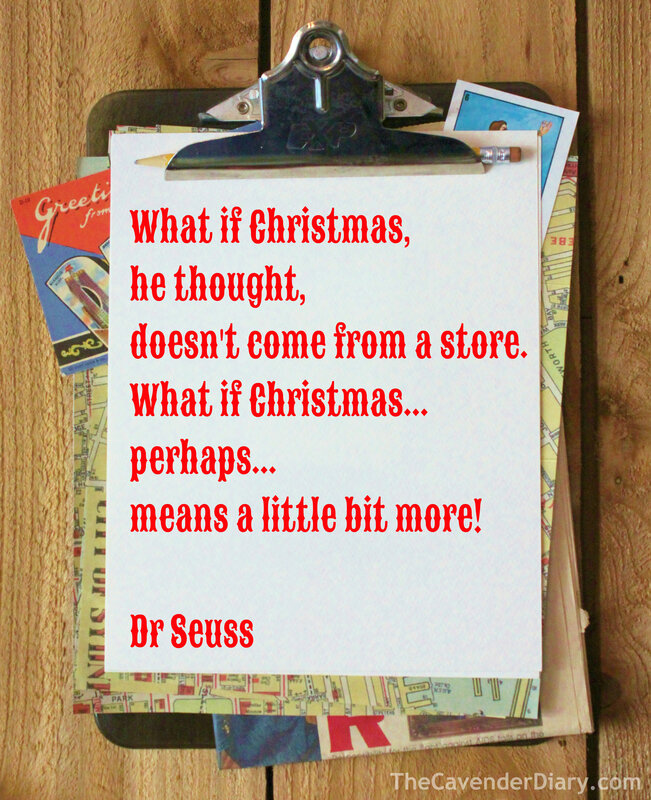 Now this inspiration from Dr. Suess! Thank you! I was thinking the same thing……Sorry, it’s been a hectic year. And there hasn’t been much time for sharing.